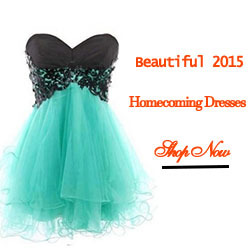 Home / expensive homecoming dresses / homecoming dresses 2015 / homecoming dresses under 100 / short homecoming dresses / Latest Homecoming Dresses!!! An instance of returning home, called Homecoming. It's a tradition of welcoming back the school alumni and a tradition being celebrated by many universities, colleges and high schools in United States. However, the origin of Homecoming is alumni football games held at colleges, universities and high schools since around 19th century and the most exciting part of this is Homecoming dance which usually culminating event of the week in high schools. 4 comments on "Latest Homecoming Dresses!!!"